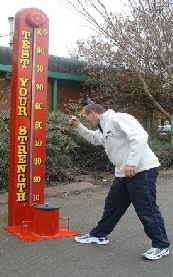 The High Striker, or Test Your Strength machine is one of the enduring symbols of an old fashioned fairground. A firm family favourite due to the ease with which both children and adults can play the game. We operate a wide range of side stall units, choose from hook a duck, cork gun shooting gallery, hoopla, knock the cans from the shelf, coconut shy and others. 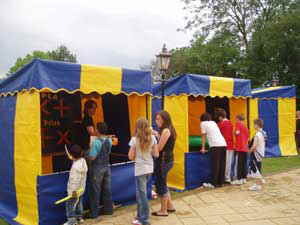 If you require a specific game unit let us know and we can supply it. Our games units are perfect for branding with your logo for product launches and marketing campaigns.